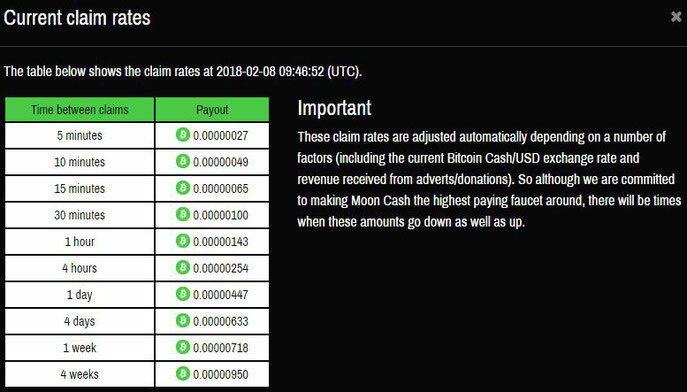 MoonCash.in is a recent faucet to claim Bitcoin cash. 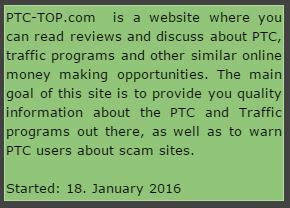 This site is based on the same principle as MoonBit.co.in, Moonliteco.in, Moondash.co.in and Moondoge.co.in. 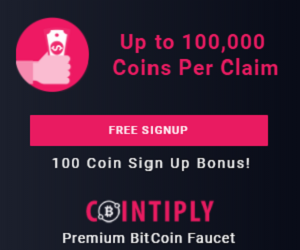 It is different from other Bitcoin cash taps because you can request a payment every 5 minutes, Bitcoin cash increase every second so if you do not come to withdraw your Bitcoin cash for example 2 or 3 days your Bitcoin cash will have increased anyway , even if you are not on the site. You can sponsor and you will receive a bonus of 1% for each of your claims and 25% of the claims of your referrals. Your account, referrals, loyalty bonuses and CoinPot earnings will all remain intact and are not affected by this move.